A milestone was reached in 2016 when Stephanie Johnson, DC, was appointed to the staff of Walter Reed Military Medical Center. 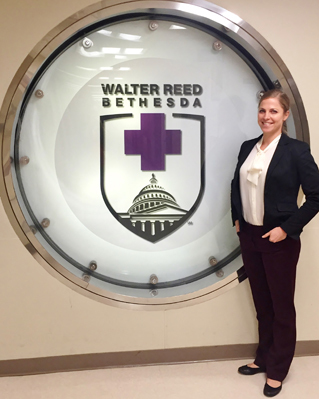 While chiropractic care has been available at Walter Reed, she is the first female chiropractor at the world’s largest military medical center. Dr. Johnson’s patients at Walter Reed Military Medical Center are pleased by the integration of chiropractic care into DoD and VA-managed health centers. “Many express their appreciation by making a point to say their chiropractic visits are what they look forward to most in their day, and comment that chiropractic is the only thing that keeps their headaches away, or their bodies functioning at optimal capacity,” said Dr. Johnson.